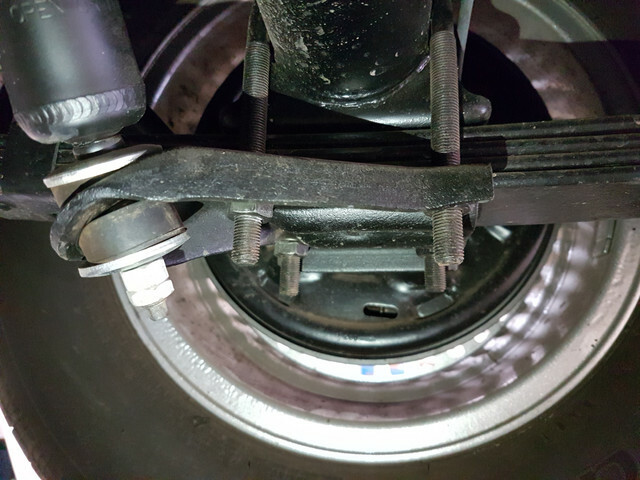 When i purchased the car the rear shocks didnt look right. So when i restored the underside i bought new shocks along with new leaf springs. After fitting both i noticed the new shocks didnt appear to sit right on the spring plates. The original set on the car were tightened right up which bent the bolt at the bottom. I have not completely tightened up the new ones as i know it will do exactly the same. So i thought the PO had replaced the spring plates with a incorrect pair so i bought a pair of spring plates from Don. When the springplates arrived i checked them against the pair on the car t find they are exactly the same shape. The stamped reinforcing rib should go across the spring, not lengthwise. 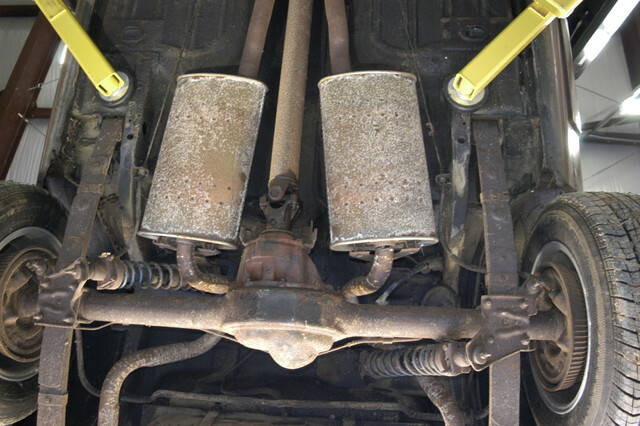 Here is a picture under my car the shocks have the booster springs I put on the first week I had the car. Did that to make it sit level they all squatted in the rear. I think a bunch of us will be checking this. Note that even when the plate is properly oriented, the angle of the shock to plate will also vary slightly as the suspension travels up and down. 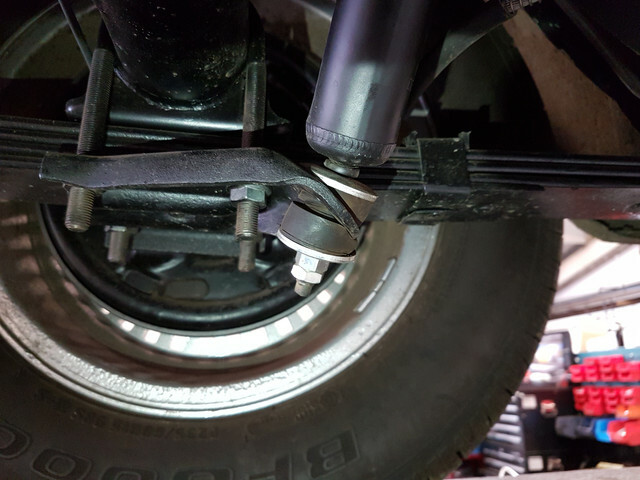 (03-29-2019, 09:14 AM)Carolina_Mountain_Mustangs Wrote: Here is a picture under my car the shocks have the booster springs I put on the first week I had the car. Did that to make it sit level they all squatted in the rear. Even if you drive on the wrong side of the road, no steering/suspension needs to be inverted!